We know it's out-dated but the over 70 fascinating illustrations and mini-biographies- one for every week are a treasure and real value at this price! 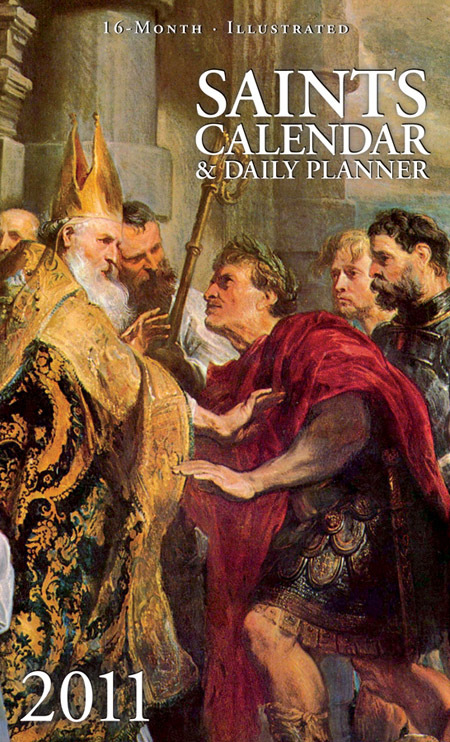 The popular Saints Calendar and Daily Planner is a great aid to sanctifying each day. Covers 16 months beginning in September 2010. Contains the calendar and feastdays from both the Traditional and the Novus Ordo Liturgical Calendar. Feastdays, fast days, Sundays and Holy Days are marked.